The Y-8GX6, partially based on the Soviet Antonov AN-12, was first revealed in November 2011 and is intended to replace three aging Harbin-SH 5 ASW planes, which first entered service in 1986. 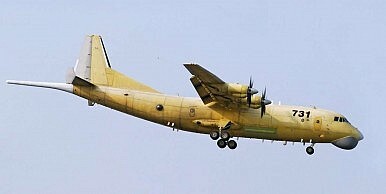 Up until the induction of the first Y-8GX6 the Harbin-SH 5 constituted the PLAN’s sole long-range aerial ASW capability. The Chinese Navy just deployed the world’s biggest hovercraft for an assault drill on Hainan Island.